The 2018 Conference Season Wrap Up! 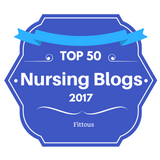 As a Nurse Advocate and Digital Journalists, I wanted to share an overview of the 14 conferences I attended in 2018. My goals as a seasoned healthcare care professional in attending these events is to increase my knowledge and learn firsthand from leaders about the challenges and solution in play to address the complex challenges healthcare professionals are facing. As a digital journalist, attending these events allowed me to share information via social media so others are aware of trends and innovative strategies that can improve the delivery of care throughout the complex healthcare system. I hope you will take a minute to read this recap and if you see a conference that interests you, think about putting it on your schedule in 2019. Staying up to date is important for all of us as leaders. Attending national, regional and local conferences is a good way to learn and network. January 18-20, 2018 – Commission for Case Manager Certification New World Symposium, Nashville TN. The Commission for Case Manager Certification started the New World Symposium Conference several years ago. 2018 was my first year to attend. I found the program interesting and a way to connect and reconnect with case managers throughout the care continuum. If you are a case manager looking for a conference to attend that will reinforce the work you do, the World Symposium is a good conference to consider attending in 2019. If you are doing innovative work in the area of case management and care coordination, think about submitting a proposal to present in a World Symposium. The 2019 World Symposium will take place February 28-March 2, 2019 in Washington DC. Registration is now open! To learn more click here. March 2, 2018, 2018 – Broward Association of Rehabilitation Nurses, (BARN) Fort Lauderdale, FL. As a Certified Registered Rehabilitation Nurse, I look for conferences and events that cover topics specific to rehabilitation. 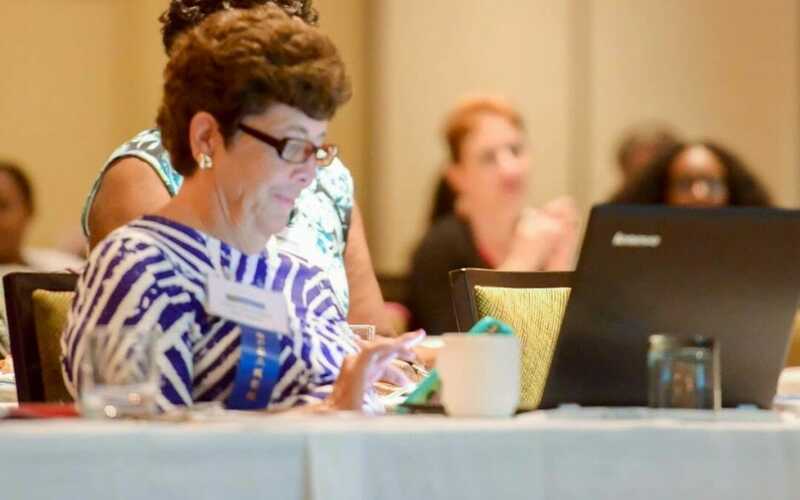 In 2018, I attended the Broward Association of Rehabilitation Nurses conference. I found the sessions interesting and empowering. The conference was well attended with nurses who work in various rehabilitation settings. BARN is the local chapter of the Association of Rehabilitation Nurses. There is also a State Chapter that holds an annual conference, the Florida Association of Rehabilitation Nurses or FSARN. 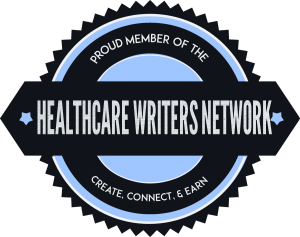 If you are a rehabilitation nurse in Florida, here is the link to check out this professional association. The 2019 Conference will take place March 1, 2019, at the Signature Grand Hotel. You can register on the BARN website. March 19, 2018 – 18th Annual Population Health Colloquium, Philadelphia, PA. The Population Health Colloquium is one of the conferences that I look forward to every year. Maybe it is because it is held in Philadelphia (my hometown)! But seriously, this conference is one of the most thought-provoking events that is held in healthcare. The agenda is set to raise issues, challenges and put accountability on all members of the healthcare team to improve the delivery of care. Dr. David Nash and his team, put together this important event each year with leaders in the field who are at the center of the disruptive healthcare system. The conference brings together professionals from all disciplines so it is one of the only conferences I know that allows us to learn together as a team. I already have my registration in for the 2019 Colloquium. The dates are March 18-19, 2019, in Philadelphia PA. To view the agenda and register, visit the website. NOTE: If you can’t attend the conference live, they have an online option that works great. Last year, there was a snowstorm that disrupted the event causing me to leave early. I was able to get the link to watch the online version as I flew home! I was able to follow the event in real time from home It was ‘almost’ as good as being there! April 6, 2018 – Florida Ethics: Debates, Discussion, Solutions, and Miami, FL. Although this event has been taking place since 1993, 2018 was the first time I attended this conference. I decided to go, this year because as a case management professional, I am required to have 8 continuing education credits in ethics when I renew my national certification. I actually had enough credits but wanted to check out this conference as it focused specifically on Bioethics. I was glad that I made the time to go to this event, as it was educational, thought-provoking and timely. Many of the issues that we face as members of the healthcare team were discussed. Each year, the conference is held simultaneously with the Florida Bioethics Network. The program is pre-approved for continuing education credits for professionals in medicine, nursing, law, pastoral care, social work, and others. 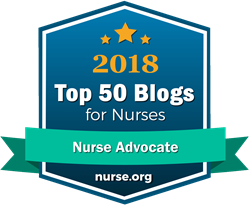 One of my recommendations on the evaluation was to consider adding continuing education credits for Certified Case Managers (CCM) and Board Certified Patient Advocates (BCPA) to this list! To learn more, visit the Miller School of Medicine Institute of Bioethics and Healthcare Policy website here. The conference chair is Dr. Kenneth Goodman, an expert in Bioethics and long-time colleague. I look forward to the 2019 event. Save the date, April 12, 2019. April 18-20, 2018 – 10th Annual Care Coordination Summit, San Antonio, TX. The Care Coordination Summit was excellent this year. It brought professionals together to learn, network and share information that was timely and impacts each of us in the work we do. The conference brought together leaders in the industry who are charged with decision making, so the attendees were at a high level. I look forward to this conference each year and have reached out to the leadership to see if it will be held in 2019. Stay tuned! April 22 – 28, 2018 – 1st Annual Case Managers Cruise, Western Caribbean. Combining business with pleasure is always nice! Hats off to Deanna Gillingham and her team for putting together a fun time for the first case management cruise. The educational portion of the event was excellent. Case managers from various settings came together in a relaxed setting to learn, network and share information. The 2nd Annual Case Management Cruise will take place, March 16-23, 2019. If you are looking for a way to combine learning and cruising, this is the conference for you to consider. Click here to learn more and register for the 2019 conference visit the website. The 18th CMSA Annual Conference was excellent. If you are a case manager, attending this event each year allows you to stay up to date with the practice of case management. The conference is attended by all levels of case managers from settings across the care continuum so it is a good way to network and learn about opportunities and innovations taking place in the area of case management and healthcare as a whole. The stage is set for the 2019 conference. The conference will be held in Las Vegas, at the Mirage Hotel. The dates are June 10 -14th 2019. Here is the link to review the agenda and register. July 13, 2018, South Florida Case Management Network, Fort Lauderdale FL. September 7-8, 2018, Orlando, FL. Alliance of Professional Health Advocates 2018 Workshops, Orlando. Patient Advocacy is an emerging profession. Today, we have a national certification that allows those involved in patient/health advocacy to demonstrate their competency to the public, to payers, and to providers. There are also professional organizations in place to allow professional advocates to learn and network. I am a member of the Alliance of Professional Health Advocates, but this was the first in-person Alliance event I have had the opportunity to attended. I found the program to be educational, innovative and inspiring. There were many advocates who attend the program who are running successful practices as well as experienced professionals looking to move into the field of advocacy as independent professionals as well as others who are considering hospital advocacy, employer settings and other areas of practice. I learned a few years ago, that everyone needs an advocate when thrust into the complex and confusing healthcare system. The dates for the 2019 Workshops have not been posted at the writing of this report, but in the meantime, I recommend you visit the website to learn more about the Alliance, visit the website here. Sept 22, 2018, Palmetto CMSA Chapter, South Carolina CMSA: Case Management Bootcamp. Helping case managers prepare to take the Case Management Certification exam is something I have done since 1994. Today, I am mostly doing online training, but have done a number of onsite programs over the years. Regardless of the medium, the programs are meant to help those seeking certification identify areas they need to focus on to pass the exam. On September 22, 2018, I did a live course for the CMSA Palmetto Chapter in Columbia South Carolina. Being onsite was fun as I got to interact with the attendees ‘in real time’ and learn what they are doing in their practice. As a leader in the practice, it is inspiring to see the next generation of case managers emerge. If you want would like to learn about prep courses and other events taking place through the Case Management Institute, click here. September 22-26, 2018, AHIMA Convention, Miami Beach, FL. 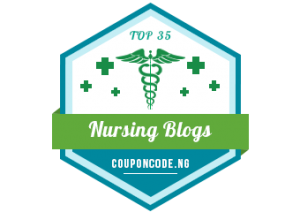 For a good number of years, I have followed AHIMA, to understand the world of health information management, coding, and clinical documentation. In case you have not heard of AHIMA, it is the premier association of health information management (HIM) professionals worldwide. Serving 52 affiliated component state associations and more than 103,000 health information professionals, it is recognized as the leading source of “HIM knowledge,” a respected authority for rigorous professional education and training. So when I heard they were going to hold their annual conference in Miami Beach, Florida I decided to go. I only spent one day at the annual conference but had the opportunity to attend the opening session as well as some of the breakout sessions. It was interesting to hear about emerging trends and issues in health information technology, coding, and clinical documentation. We have certainly progressed over time, but we have a long way to go to really have a healthcare system that can communicate effectively and share information that is needed to care for patients as they move through the care continuum. As the way, we reimburse providers and organizations changes from a fee for service system to a value-based purchasing system, ensuring coding and documentation is accurate and reflects the work we do is critical. AHIMA is taking the lead in these three areas and is an important organization for all in healthcare to follow. To learn about AHIMA, visit the website. The National Nurses in Business Conference was held Oct 12-14th in Las Vegas. I have attended this conference three times and have found it inspiring. As you can tell by the name, the organization is focused on Nurses in Business. 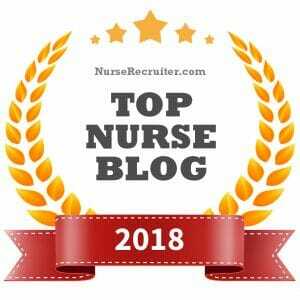 The organization provides information, support and networking opportunities for nurses who want to move into independent practice or into their own business. This year, I co-presented a program with Deanna Gillingham for nurses who are looking to move beyond the bedside and focus in the area of Case Management and/or Patient Advocacy. The program was a pre-conference event. The pre-conference workshop allowed nurses to learn about both areas of practice and the opportunities they hold. We had 34 nurses attend the program, and many stayed on for the main conference. It was inspiring to meet so many nurses who realize their potential and are working to use their expertise to further their careers and provide services that meet the needs of patients as well as the broad healthcare system. The 2019 Conference will be held September 27-29, 2019 in Las Vegas. Currently, they are taking calls for papers for the 2019th conference. Click here to view the website and keep up to date with NNBA! Two years ago, I was introduced to NCQA Quality Talks Conference. It is a unique conference that encourages the speakers to present in a TED Style format on topics that are front and center in today’s complex world of healthcare. The sessions are grouped in 3’s. After each grouping, the speakers go into individual rooms for conversations with attendees. It is an intimate way to hold a conference. The audience is made up of high-level professionals who are in leadership positions from managed care organizations and accountable care organizations. The first time I attended I found the setting conducive to learning and an inviting setting where professionals could meet and discuss challenges, opportunities, and issues that impacted their practice. I had planned to attend onsite in 2018, but due to a conflict, I could not travel, so I was able to take advantage of the online viewing opportunity. I liked the convenience of the online option, but prefer being onsite. Being onsite allows you to network with the attendees, the speakers and the team at NCQA. I will be going in 2019, but hope to attend in person. To learn more about NCQA, and the Quality Talks program visit the website. November 14-15, 2018, Annual USSOCOM Warrior Care Program (Care Coalition) Conference and Military Adaptive Sports Camp, Palm Harbor FL . The U.S. Special Operations Command Warrior Care Program (Care Coalition) was established in 2005 to provide Special Operations Forces (SOF) Wounded, Ill, or Injured Service Members and their families advocacy services after life-changing events in order to navigate through recovery, rehabilitation, and reintegration as quickly as possible, strengthening Special Operation Forces readiness. Whether the person is returning to active duty, moving into a different field or transitioning into veteran status, the USSOCOM Warrior Care Program (Care Coalition) helps them to get there. This was my second Care Coalition Conference. It is an annual event for the leadership and Recovery Care Coordination’s to come together to discuss the program, and the challenge seen at the service level. The 2018 conference focused on topics such as cancer care, traumatic brain injury, post-traumatic stress syndrome, depression, and suicide as these are the conditions which plague our military as well as our veterans. The program was well attended and provided a venue for networking with professionals and organizations who provide services for the wounded warrior program. I attended to represent the Patient Advocate Certification Board as the Recovery Care Coordinators are eligible to take the Patient Advocate Certification examination. Click here to learn about the Wounded Warrior Program and a here to learn about the recovery care coordinator program. As we move into 2019, I am starting to build my educational calendar. If you know of a conference that you have found valuable, please let me the name, date, and link to so I can check it out. Thank, in advance! What an incredible list of healthcare conferences, Anne. Sounds like your knowledge, wisdom, and network has been enriched beyond measure. I especially like hearing about the NSQA process! Thanks for inspiring continueing education! Thanks Beth! It has been an interesting year! I enjoyed your summary of the numerous conferences. I have always felt inspired by attending conferences related to case management and medical legal work. Your summary certainly enlightened case managers who are still actively involved in the field. Thanks, Maureen! Appreciate your kind words! Keeping update to date is important. Glad I can be part of the process. OMG Anne, I’m exhausted reading about your conference adventures! ..and so proud to know you, and to be your comrade-in-arms in the quest to improve the healthcare and lives of so many. Very, very well done, my friend. Yes, it was a busy year..but I had a good time and learned a great deal! Glad to be able to share ideas, trends and opportunities though so many mediums! On to 2019! Looking forward to working with you on the ride. My you are a busy case manager leader. Such valuable information so one can make choices on what to learn and where to go. Any day spent with you is a good day! You’ve been inspiring me for years! Awesome. Just what is needed. Thank you so much!!! !